Get an edge over your competition in hedge fund interviews. 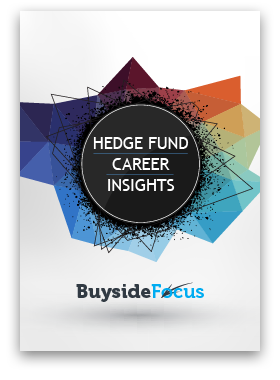 Win hedge fund job offers with interview resources from senior buy side analysts. A complete set of resources to master networking and get more invites to hedge fund interviews. 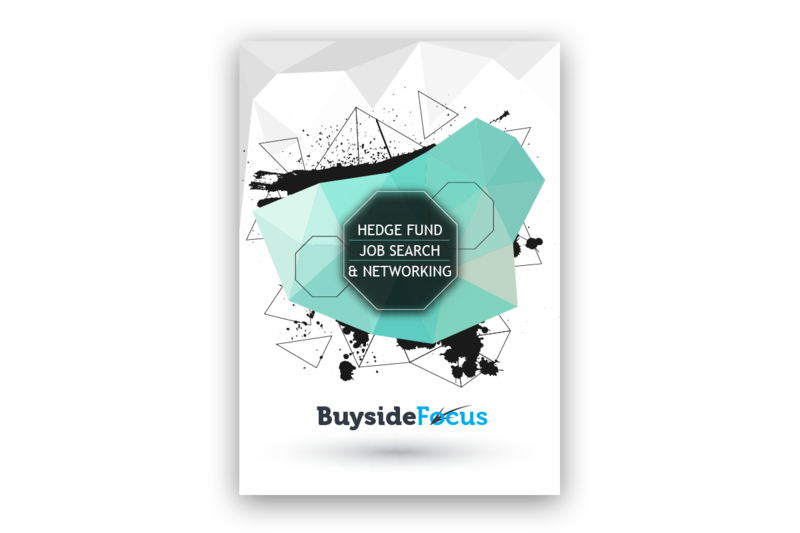 Establish relationships in the hedge fund industry, initiate conversations, and land interview invites. Your personal excel relationship tracker to stay on top of your conversations and next steps. Complete set of email scripts to maximize your response rate. 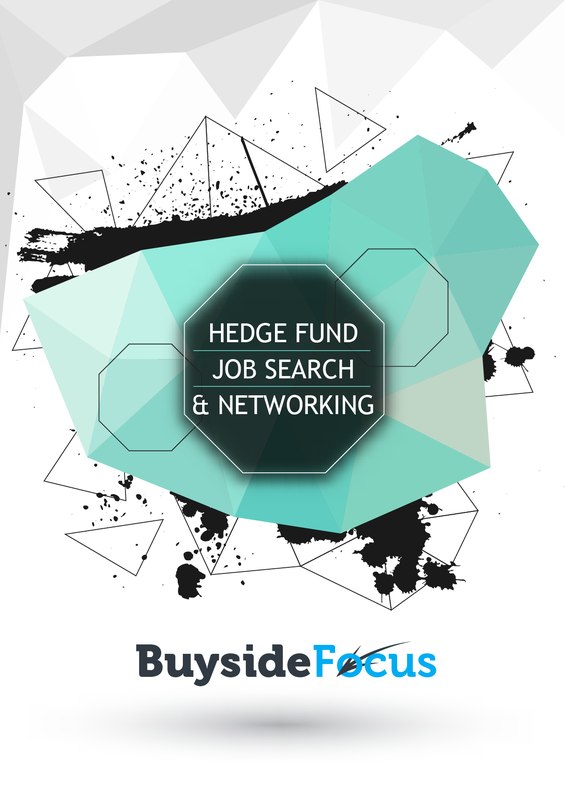 Top hedge fund career contacts and recruiter lists to reach the hiring people who matter. Templates for both working professionals and students to maximize your interview conversion rate. Tackle all 6 aspects of the hedge fund interview with 100+ real interviewed questions answered by hedge fund analysts. 15 fit questions & answers to tailor your story to hedge fund professionals. 10 work experience questions & answers to establish your credibility. 18 investing questions & answers to showcase your investment acumen. 47 technical questions & answers to stand out from your competition. 13 behavioral questions & answers to build rapport with investors. 8 brainteasers & answers to seal the deal. Master the pitch and get your dream job offer. 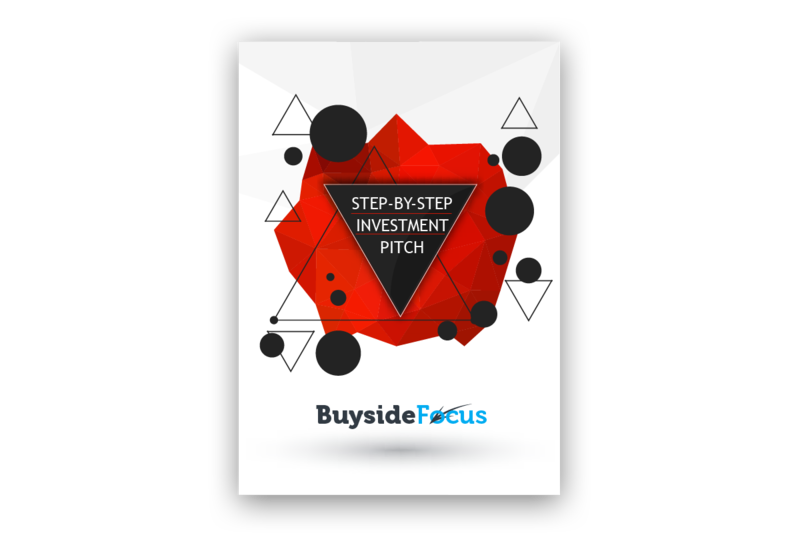 Learn to develop investment theses and structure your pitch like a true hedge fund analyst. 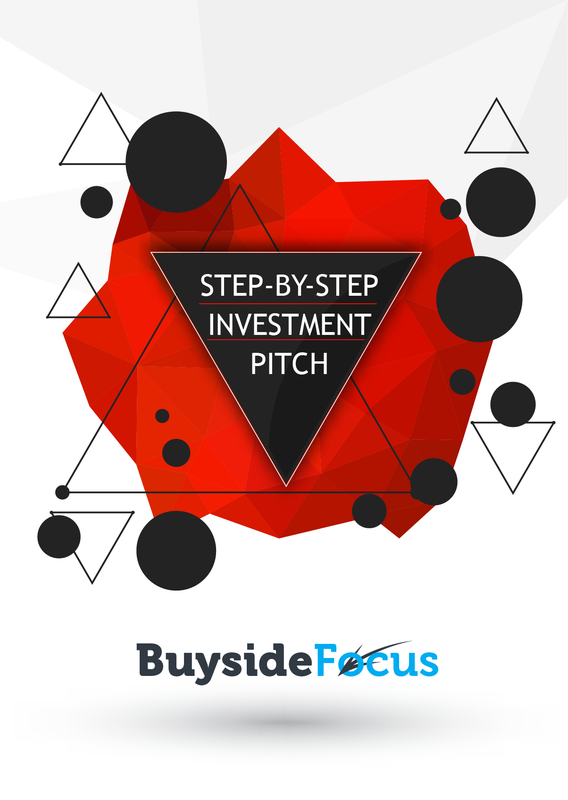 A step-by-step guide that walks you through all 6 key elements of a pitch. Learn how to screen for potential investments like a pro. Develop your thesis with real life examples. Master the art of developing contrarian views. Learn the 4 key essentials to shorting a stock. 4 full pitches and models by hedge fund analysts for hands-on practice. Used by over 1,100 professionals at leading banks and consulting firms. And by over 400 students at top business schools and colleges. I was 100% motivated to switch to the buy side, and I wish I had found Buyside Focus sooner. I’ve been getting interview invites but had trouble crossing the finish line. The Interview Question Bank and Step-by-Step Pitching packages got me over the hump and I got my dream job offer. 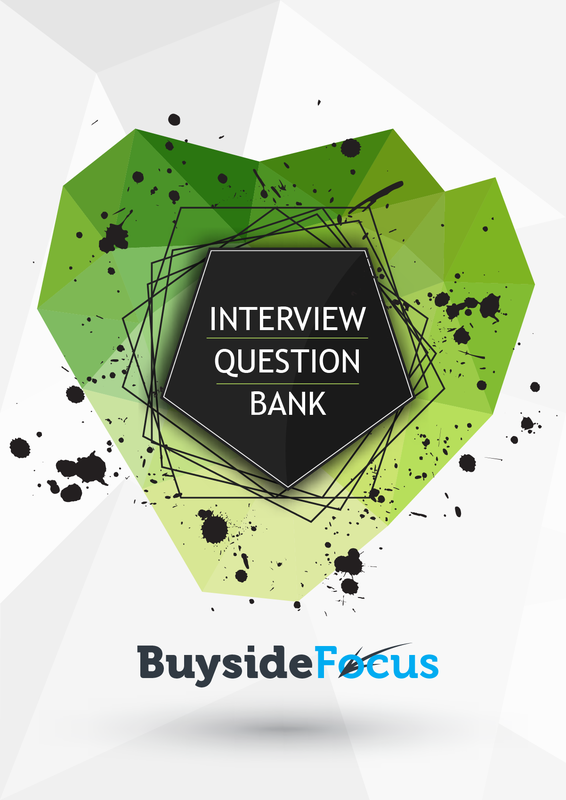 The Interview Question Bank was tremendous for my upcoming interviews. The answers were dead on in terms of the questions asked, especially the investment and technical questions. I not only got the offer but am a lot more knowledgeable about investing than when I first started recruiting. I wasn’t sure about my case study going into the final round. Having the sample pitch templates and models from the pitching package really helped me get it right. I felt more confident about what I was doing. I owe my offer to Buyside Focus. I bought all 3 packages and they walked me through the process from start to finish. Hedge fund recruiting is really different from how I got my Credit Suisse analyst offer. The people who prepared the networking package really knew how hedge fund recruiting differs from investment banking. I changed my entire networking approach as a result. They did a superb job putting together the materials. The networking package gave me a lot of insight into how to connect with the right people who can make hiring decisions. Having the resources made sure I was on the right track and I didn’t find this level of help anywhere else. A worth-while investment in your career. Tailor made for hedge fund interviews. Break away from the rehashed investment banking prep materials. Prepared by senior hedge fund analysts with extensive interview experience. 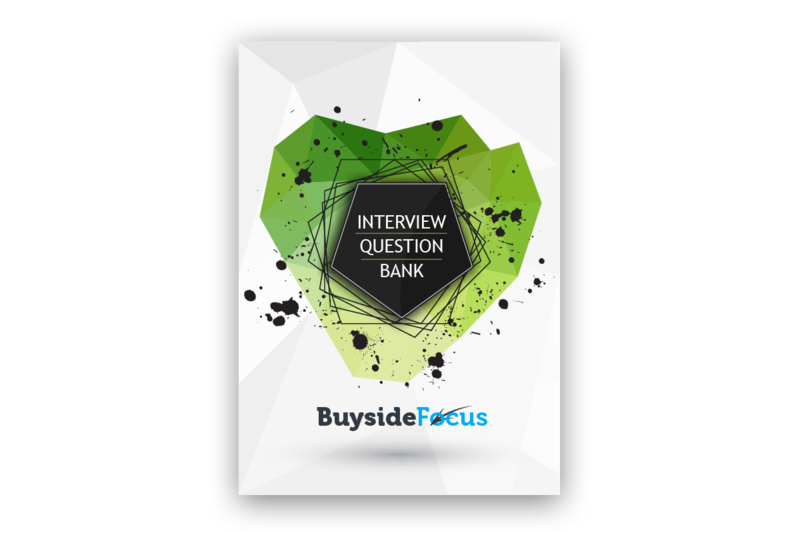 Focused on helping you master technical interview questions and develop an authentic investment pitch. Landing your dream job in the hedge fund industry translates to significant ROI. Invest in your career today. Beat your competition from start to finish. Get the Networking Toolbox, Interview Question Bank, and Step-By-Step Pitching for just $299 and save $120!